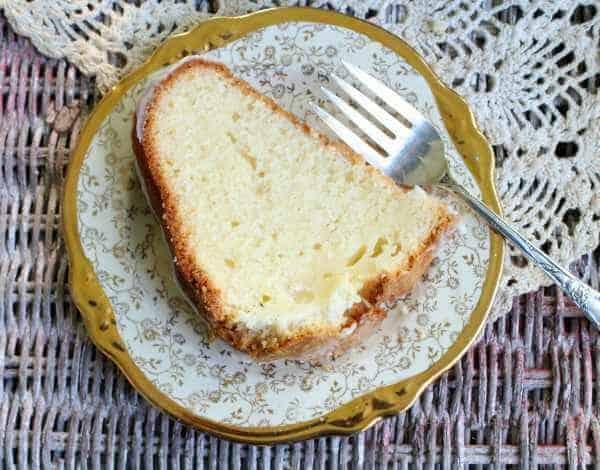 Cinco de Mayo is kind of a big deal here in the Dallas area and there is no better way to celebrate than with this Margarita pound cake recipe. Classic tequila and lime combine with a slightly salty crust for all of the flavor of your favorite GNO cocktail. Pound cake. You know you love it. Dense, moist, velvety… it’s incredible stuff due to the high fat content which intensifies the flavor as well as creating that perfect texture. I kind of try not to get all caught up in the hoopla of seasonal blogging. You know what I mean, right? Every October first almost every single food blog posts pumpkin recipes, November first it’s sweet potatoes, December first it’s cookies… you get the idea. No judgement from me, I just don’t want to get lost in the crowd. But there’s sometimes when a recipe is so special, so amazing, and so perfectly timed that I just have to post it. This is that recipe. Cinco de Mayo is a celebration of Mexican independence from Spain. Since Texas has a large hispanic population, plus has roots in Mexican culture it is one of those celebrations that we take seriously. Besides, it’s a great excuse to make margaritas — ha! As if we needed an excuse. This cake has all of that flavor. There’s lime and tequila in the batter and then I dusted the inside of the cake pan with ground pretzels for a bit of salty perfection in every bite. I used a recipe I pulled out of Southern Living magazine about a hundred years ago as the foundation for this. It keeps well and you can wrap it tightly and freeze it for up to three months, if you like. 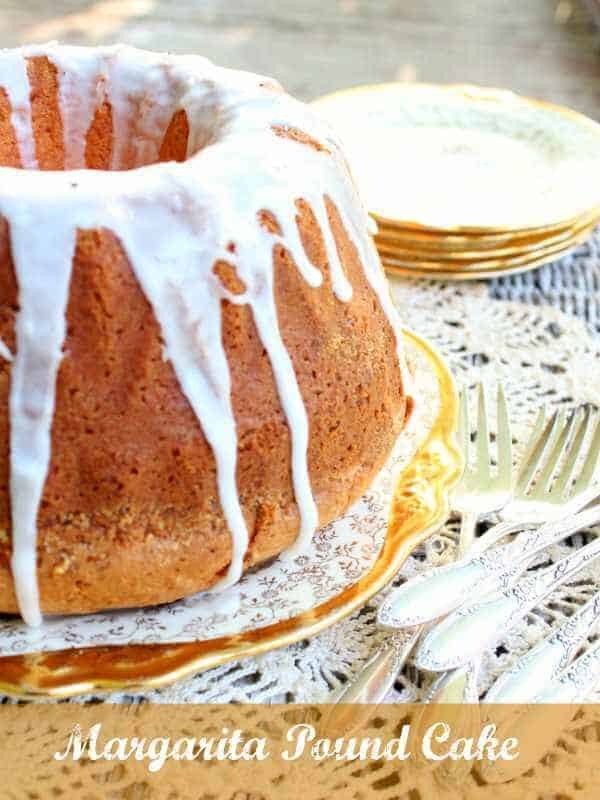 Moist, rich, and velvety this margarita pound cake is easy to make and the perfect ending for any Tex-Mex meal. Grease a bundt pan thoroughly and then shake the pretzel crumbs in it to coat. Add the flour, salt, lime zest, tequila, and juice. Remove from pan and drizzle the glaze over the top. Sprinkle with vanilla salt crystals if desired. Mix the confectioner's, lime, and tequila until it is smooth. Drizzle over the cake while still warm. I didn’t know the history of Cinco de Mayo. Fantastic! I love both a pound cake and a margarita- this sounds wonderful. LOL! It is so good. Tequila in the cake?! Now that’s my kind of cake! Two Words… YES & PLEASE! Love pound cake and margaritas; how could this be anything but perfect. Maybe a birthday cake for a neighbor this weekend so I won’t have to make cocktails too? YES! I do love a good pound cake and this one is over the top!! I totally admit that I love pound cake. Like, lots. Growing up, I had two favorite kinds of cake and they were extremes on teh opposite ends of the scale: pound cake and angel food cake. This one’s even better because, well, boozy! And I’m entirely intrigued by use of the pretzel crumbs. I was going to make this an angel food actually and then the carton of egg whites I had wouldn’t whip up… so I changed my plan.. I think this is better!